Shawnee’s incumbent Mayor Michelle Distler is seeking a second term in office, and she’ll face a challenge from former city councilmember Dawn Tubbesing. Distler filed for this fall’s mayoral election last month. Tubbesing announced she would be seeking the city’s top office last week. Shawnee’s Michelle Distler is seeking a second term as mayor. Distler was first elected to the governing body as a councilmember representing Ward 4 in spring 2006 and became mayor in April 2015 after defeating fellow councilmember Dan Pflumm in the race to replace outgoing mayor Jeff Meyers, who did not seek a new term. Tubbesing served as a councilmember representing Ward 3 from 2004 through October 2013. At present, Distler and Tubbesing are the only two candidates filed for the election. If a third candidate were to file, it would trigger an August primary election. Distler said her decision to seek a second term was “motivated by the responsibility to carry the torch for my hometown’s founding spirit with pride and progress.” She cited a desire to continue momentum on issues she’s made a priority, including more open and transparent government operations; increased investment in public safety; infrastructure and quality-of-life improvements; and business development. Dawn Tubbesing served on the council from 2004 to 2013. Of particular importance, Distler said, will be a focus on getting more and more residents involved in city issues. “It has been my experience that city government works best when citizens participate. I firmly believe that by working together, and with an open exchange of ideas we can accomplish a lot, and we have,” she said. 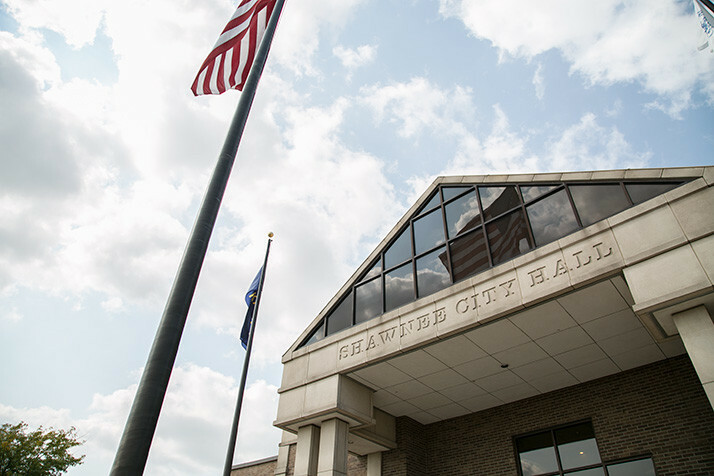 “A priority in the coming months is a group visioning session with the new governing body, new city manager, new deputy and assistant city managers, and staff (which includes a lot of new department heads), and of course residents, where we will be coming together to plan Shawnee’s future,” she said. For Tubbesing, a focus on expansion of the city’s commercial tax base as well as quality-of-life enhancements are key drivers behind her decision to seek the mayor’s office. She also cited her longstanding support for the idea behind the community center being considered for the western part of the city. The city will likely put funding for the community center to city voters in a mail-in election later this year.